Genuine Fender® chrome tremolo arm for American Professional Strat®. 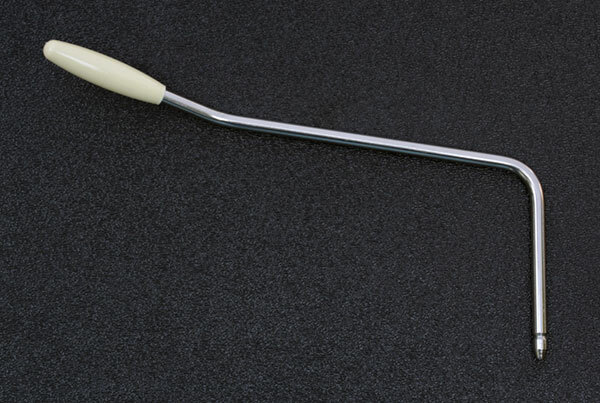 This is a pop-in tremolo arm (not a screw-in) and includes an aged white plastic tip. Length is 6". These tremolo arms will NOT fit the American Deluxe or American Elite Strat tremolo bridge without replacing the tremolo arm tensioning bushing with a 771-0005-000.